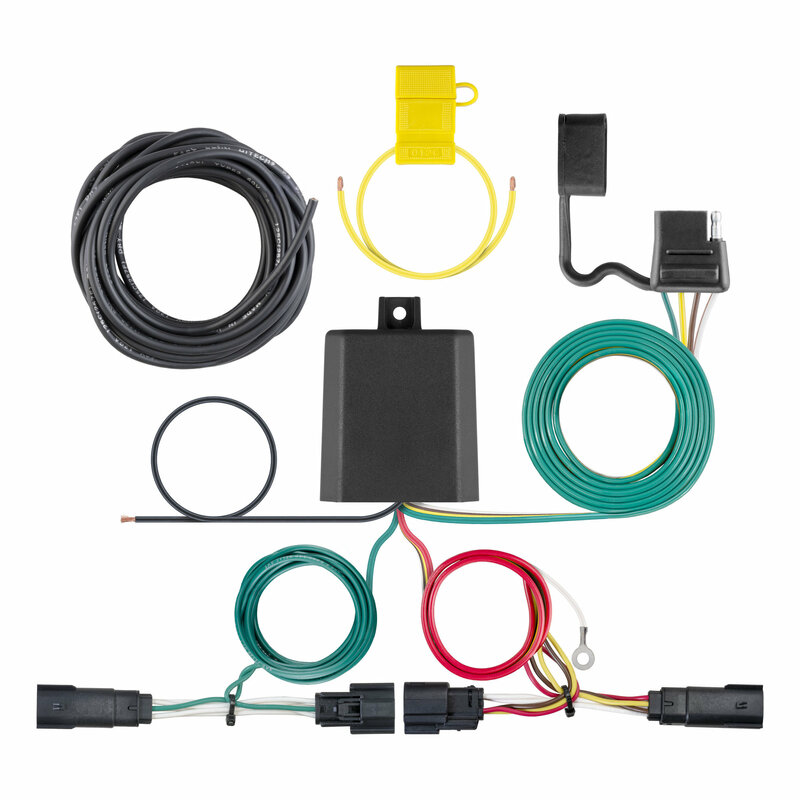 Curt Manufacturing's Hitch Wiring Kit will provide you with everything you need to power the electrical system of your trailer. The custom design results in a plug and play connection with the taillight assembly. The 4 way flat output will power the tail lights, turn signals, and brake lights of the trailer. The harness includes a powered taillight converter that will maximize the light brightness while minimizing heat generation. 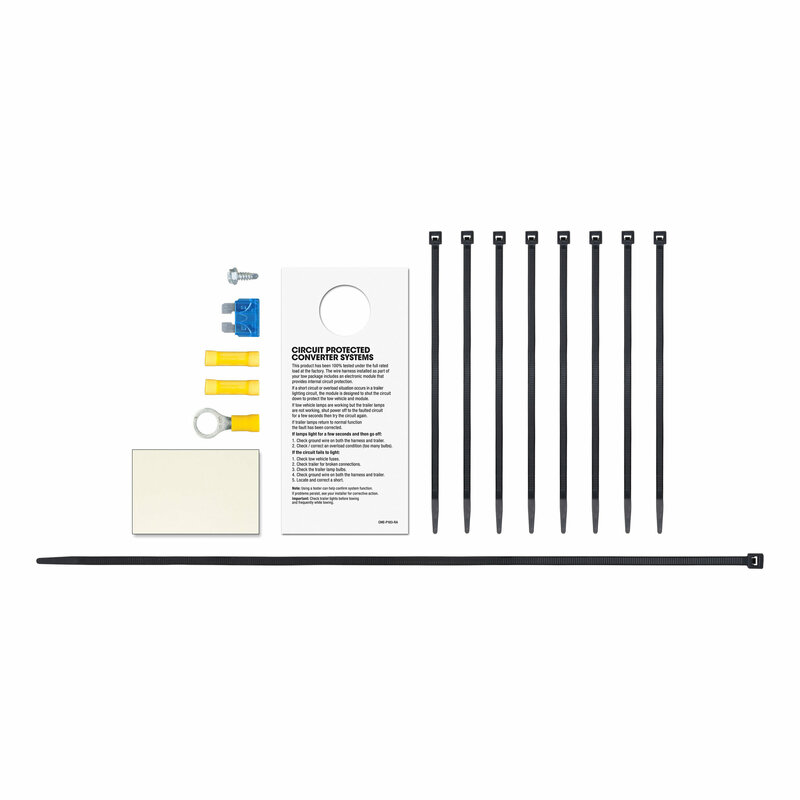 Includes fuse holder, battery connection wiring, and a rubber dust cover to protect the connection points when not is use completes the kit. The easy installation and beneficial features make this a terrific product to add when it is time to hit the road and use your trailer. Superior Engineering: Powered tail light converter with surface technology ensures superior functionality, even under adverse conditions when towing. Converters are fully tested to ensure dependable and consistent performance. Weather Resistant Design: Completely sealed off from moisture to ensure consistent opearation in extreme weather conditions.